Jenoptik offers high-quality optical components for precise measurement, analysis, structuring and processing using light. Our components are optimized to meet your specific requirements. At Jenoptik, high-precision optical components and optical thin film elements are part of our core expertise. We develop and manufacture optical components in the highest quality that you can use in many different fields of application, from laser material processing to biotechnology, medical technology, defense and security and the semiconductor market. Jenoptik is one of few providers worldwide to manufacture high-precision optical components made from virtually any optical material. These materials include optical glass, Fused Silica, crystals such as calcium fluoride, magnesium fluoride, germanium and silicon, as well as glass ceramics and special materials. The antireflection coating process for all components ensures that there are no reflections on the surface. It covers the entire spectral range from deep ultraviolet (DUV) to far infrared (FIR). At Jenoptik, we use state-of-the-art technology to manufacture and coat plane optics in various shapes and materials. Plane optics from Jenoptik deliver outstanding quality. They are used as the basis for prisms, beam splitters, windows, wedge plates and filters. From the design stage to the antireflection coating process, we always work to your specific requirements and manufacture high-quality flats as prototypes or in series production. We develop and manufacture various optical filters. They can be used to improve the performance of radiation detectors and influence the signal-to-noise ratio or response sensitivity of the detector. The coatings are suitable for workpieces made from such materials as germanium, silicon and sapphire. They are extremely robust, protected against environmental impact and cost-effective. The filters also meet all the requirements of the DIN ISO or MIL standards and contain no radioactive substances. If required, we can provide all filters with edges that are suitable for soldering, so that they are easy to integrate into your existing systems. 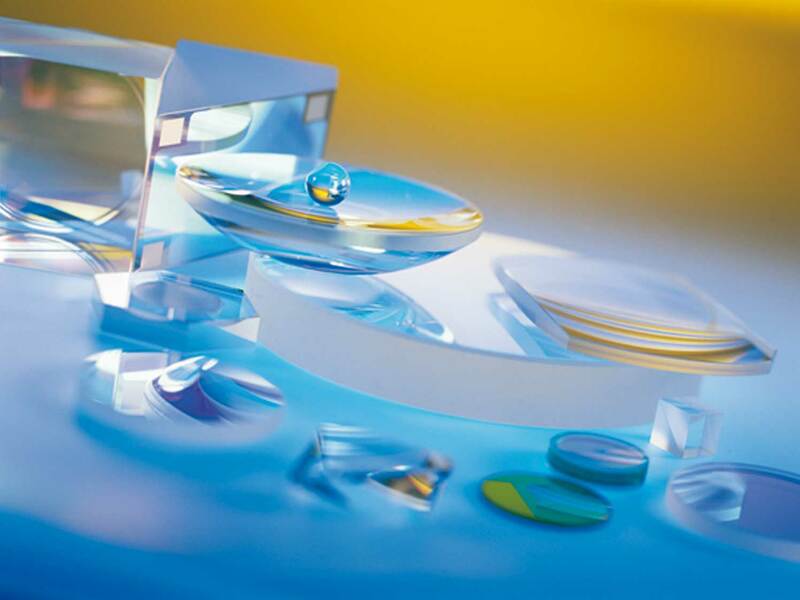 The high-quality spherical optics from Jenoptik can be used in a wide range of technologically complex applications and demanding markets, such as laser material processing, the semiconductor industry and medical technology. We offer spherical optics with specially shaped edges and diameters of 10 mm to 300 mm, in accordance with your requirements. If required, we can also manufacture segment lenses up to 1000 mm in length. Jenoptik specializes in manufacturing spherical optics in a range of materials, such as optical glass, Fused Silica, crystals for instance calcium fluoride, magnesium fluoride, germanium and silicon, glass ceramics and special materials. Depending on the application, we apply highly durable and efficient antireflection coatings to the components. This makes them resistant and enhances transmission. We also test them in accordance with DIN ISO or MIL standards. 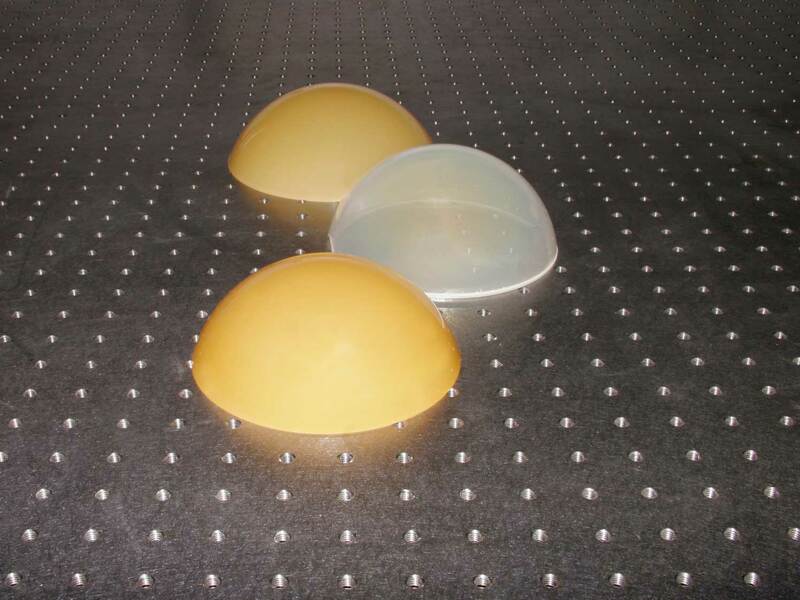 Concave and convex aspheres from Jenoptik are suitable for use in a wide range of applications: Their complex geometries and special surface treatment make them perfect for state-of-the-art camera systems, micromachining, lithography, sensors, virtual reality helmets or glasses and telescopes. Aspheres with different diffraction spots can also be used in industrial lasers, surgical lasers and barcode laser scanners. We can manufacture aspheres in rotationally symmetrical, ellipsoid and off-axis shapes to meet your specific requirements. In this process, we are one of the few companies worldwide to use a variety of optical materials, such as glass, glass ceramics, quartz glass, crystals such as calcium fluoride, magnesium fluoride, germanium and silicon and metals. The antireflection coatings on the aspherical components cover a spectral range from DUV to IR. High-quality mirrors from Jenoptik can be used in industry, medicine and scientific applications for targeted beam guidance. They offer complex geometries, dimensional accuracy, stability and maximum reflectivity. We offer plane, spherical, aspherical, cylindrical and toric mirrors for a wide range of applications. They are designed and manufactured by Jenoptik to meet your specific requirements. In addition to conventional substrate materials, we also use metallic substrates. Our metallic or dielectric coatings on mirrors are optimized to meet your requirements. At the same time, these coatings protect the components against environmental impact and enhance the reflection. Jenoptik tests all components in accordance with DIN ISO or MIL standards. Jenoptik manufactures plano-convex, plano-concave, bi-convex or bi-concave cylinder optics in a precise and tested quality. These high-quality cylinder optics are ideal for use in laser scanning, laser projection, beam homogenization and PCB fabrication. They are also an excellent solution in fault analysis. We offer precision cylinder lenses in round, rectangular or quadratic shapes to meet your requirements. The optical components are available with high-reflection or antireflection coatings for the DUV, UV, VIS and IR spectral ranges. The special coating enhances the cylinder lenses and makes them more resistant. You can use shaped and guided light in your applications in a way that guarantees efficiency and precision. That is because Jenoptik combines spherical, aspherical or refractive surfaces with diffractive structures. Thanks to the compact design, you need fewer components and materials for diffractive optics than for conventional systems. What is more, assembly is easier. This makes optical structures for broadband applications much more cost-effective to implement. Jenoptik manufactures hybrid components in optical material for infrared applications. They are ideal for infrared objective lenses and systems, as well as for image capture, target detection and in infrared camera technology. You can choose from concave, convex, plane, spherical and aspherical surfaces. Jenoptik designs, manufactures and coats IR optical domes that are perfectly adapted to your applications. We apply highly resistant, thorium-free antireflection coatings to the components. This makes them exceptionally resistant and guarantees transmission even at wide angles. We also test all components in accordance with DIN ISO or MIL standards. Infrared transparent domes from Jenoptik protect your sensitive optoelectronics from external factors such as cold and damp. The domes are ideal for defense and security applications. 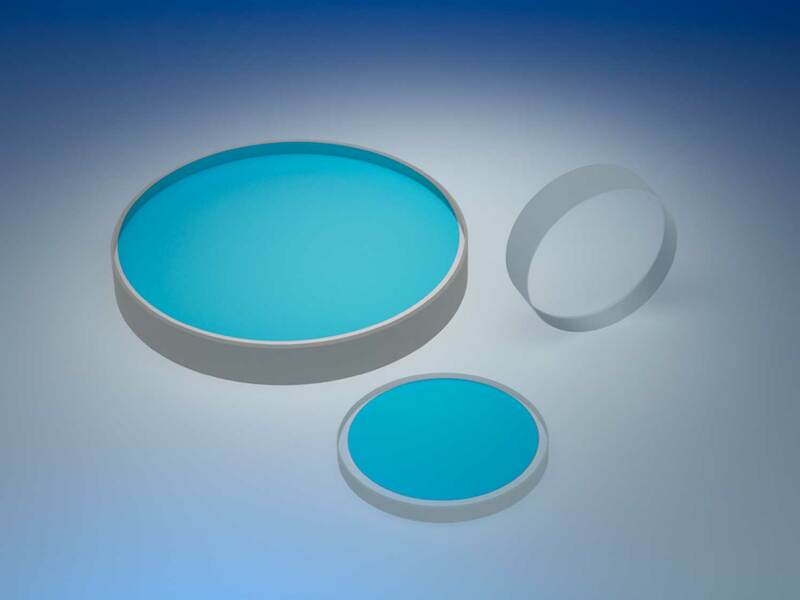 Optical filters and coatings are part of our core expertise at Jenoptik. Our experts can develop and manufacture high-performance optical coatings as prototypes or in series production. Coatings from Jenoptik allow you to guide beams in a targeted manner. They filter specific wavelengths, reflect optics or redirect them and reduce reflection if required. These high-quality coatings ensure that state-of-the-art optics can be used in your applications, however complex they may be. They cover a spectral range from DUV to LWIR. All coatings are tested and certified by Jenoptik in accordance with DIN ISO or MIL standards. Find out more about our standardized coatings in a wavelength range from DUV to FIR. Jenoptik´s OrthoLine optical alignment cubes are designed primarily for processes that require precision datum registration - including applications in the life and health sciences, metrology and defense. Jenoptik will provide the coating with the right spectral function for your optical component.